All the performers, aged 8 to 19, receive training from specialist schools, conservatoires and centres for advanced training in London and the South East participating in the Department for Children, Schools and Families' Music and Dance Scheme. This scheme gives young people with exceptional potential in music or dance the opportunity to receive the highest level of training by providing them with means-tested bursaries. Schools and centres participating in the scheme have produced some of the world's greatest musicians and dancers, including Nigel Kennedy, Alison Balsom, Darcey Bussell and Jonathan Cope. Started in 1981, the scheme currently helps some 2,000 students aged between 8 and 19, with just under half of them holding aided day and boarding places at designated specialist schools; the others, who are in mainstream schools, receive grants for specialist training out of school hours at Centres for Advanced Training (CATs), which include the top music and dance colleges and conservatoires. "I am delighted that the Music and Dance Scheme is to be celebrated at Southbank Centre in March. For nearly thirty years the scheme has given access to the very best training for young musicians and dancers regardless of their background and allowed them to aspire to world-class excellence. The fact that so many of the performing artists helped through the scheme are now internationally recognised leaders in their fields shows how important the scheme has been in allowing their potential to be fully realised. Please come and join us in March and see if you can spot the future stars of tomorrow." "The training I received was incomparable: the teachers were supportive and inspiring mentors who guided me throughout my time at the school, working tirelessly to make me a better dancer. The experience I gained with many renowned artists and choreographers was invaluable for my professional life." Melodia Women's Choir and Orchestra, conducted by Cynthia Powell, celebrates the splendor of French choral music for women's voices with a rare all-female performance of Olivier Messiaen's epic work: Trois petites liturgies de la présence divine; plus works by André Caplet, Gustav Holst, Gabriel Fauré and Reza Vali. With Kyung-A Yoo, piano; Miranda Cuckson, violin; Francoise Murail, onde Martenot; and Naila Aziz, soprano. The Summer Opera Bamberg is a European project aimed at promoting young orchestra and opera talent. It offers qualified students and college graduates of EU Member States the possibility to gather first practical opera experience for their professional career. Eligible are music students and young graduate musicians as well as talented vocal students and young, already professionally qualified singers with first opera experience. From the middle of September until the beginning of October Puccini's "La Bohème" will be produced together in a three-week workshop. Subsequently the opera will be presented several times in October at the theatre of Bamberg. Edda Moser, the well known soprano singer and highly appreciated vocal teacher will offer an exclusive masterclass "singing" featuring one-on-one tuition for the soloist ensemble of the SOB. The artistic director of the house Rainer Lewandowski takes over the artistic direction. Music director of the SOB is Till Fabian Weser who already had responsibility for the successful Summer Opera Bamberg 2005 and 2007. Besides the artistic and musical courses the participants have the possibility to learn important strategies in the field of career development and self-management in personal one-on-one interviews with the career planner and tenor Dirk Schauß. Has it been a long time since you have had a chance to enjoy the arts and express your own creativity? Welcome to Interlochen College of Creative Arts – a collection of workshops for adults designed to help them grow and reconnect with their favorite art form. Here you can experience a new art form or learn innovative ways to express an old talent. If you are an educator, you can earn Continuing Education Units. Interlochen College of Creative Arts has put it all together for you in a series of courses that deliver the same high-quality educational experience you would expect from Interlochen. Our programs are planned to accommodate your busy schedule. Some workshops are just a day long; others a weekend. Many workshops immerse you in a week-long, arts-filled learning vacation. And, it is all right here in the beauty of Michigan's north woods, clear blue lakes and all the art that is Interlochen. 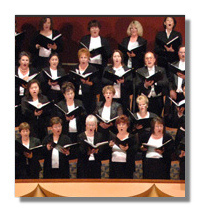 Pacific Chorale's 2008-2009 concert season concludes April 11th at the Orange County Performing Arts Center's Renée and Henry Segerstrom Concert Hall at Segerstrom Center for the Arts with Johann Sebastian Bach's St. John Passion. The concert, sponsored in part by Phillip N. and Mary A. Lyons, will feature Pacific Chorale's 24-voice professional chamber choir, the John Alexander Singers, and period instrument ensemble Musica Angelica, echoing the performing forces of Bach's day. Members of the larger Pacific Chorale ensemble will take the role of the congregation in this Holy Saturday presentation. 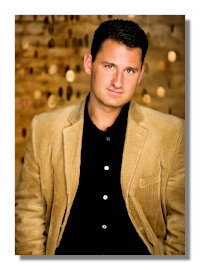 Featured soloists include tenor Aaron Sheehan as the Evangelist, and baritones Hugh Davies and Ralph Cato as Jesus and Pilate, respectively. 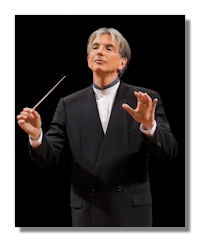 One hour prior to the performance, Dr. Robert M. Istad, Director of Choral Studies at Cal State Fullerton and Assistant Conductor of Pacific Chorale, will provide insights into Bach's work and its performance in an onstage concert preview. Pacific Chorale is one of America's great choirs, delighting national and international audiences with exceptional choral performances since 1968. Internationally recognized for exceptional artistic expression, stimulating Americanfocused programming, and influential education programs, Pacific Chorale is a touchstone in its field. Pacific Chorale presents a significant performance season of its own at the Orange County Performing Arts Center and is sought regularly to perform with the nation's leading symphonies. Under the inspired guidance of Artistic Director John Alexander, Pacific Chorale has infused an Old World art form with California's hallmark innovation and cultural independence. In 1946 Prague and the whole Czechoslovak Republic celebrated the first anniversary of the end of the Second World War. At the same time, the Czech Philharmonic was celebrating the fiftieth anniversary of its founding, and the Prague Spring International Music Festival was born. It was the result of almost seventy years of endeavours by people involved in music in Prague, including the German-speaking population, to organize annual music festivals with the participation of top soloists and orchestras from all over the world. Featured perfromers this year include Prague Radio Symphony Orcestra, Bohuslav Martinu Philharmonic, Juan Diego Flórez, Ladislav Doleel, Jaroslav Tuma, Shlomo Mintz, Janácek Chamber Orchestra, Kocian Quartet, Leonidas Kavakos, Jordi Savall, Il Giardino Armonico, Shanghai Symphony Orchestra, Anne-Sophie Mutter, Hawthorne String Quartet, and Libor Nováček. Michael Tilson Thomas (MTT) today announced details of the San Francisco Symphony's (SFS) 2009-10 season, including the Orchestra's Centennial Initiatives – a multi-year expansion of its commissioning activities, an ambitious composer and artist residency project, and special programs, concerts and events designed to draw new audiences to orchestral music in Davies Symphony Hall and beyond, as the Orchestra prepares to mark its 100th season in 2011-12. Great Performers Series and Special Concerts Feature Visits by the Los Angeles Philharmonic with Gustavo Dudamel, Berlin Philharmonic with Sir Simon Rattle, Gewandhaus Orchestra of Leipzig with Riccardo Chailly, and the Mariinsky Orchestra with Valery Gergiev. Chicago, IL - Join the world-renowned Chicago Philharmonic for an enchanting evening celebrating the 200th birthday of German composer Felix Mendelssohn. Titled "Mendelssohn's 200th Birthday," the concert begins at 7 p.m. on Sunday, March 15 at Pick-Staiger Hall on the campus of Northwestern University. This is the third concert in the Chicago Philharmonic's 2008-2009 season. 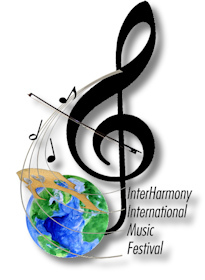 InterHarmony International Music Festival offers the opportunity to spend almost six weeks in Europe and America studying with an internationally renowned faculty of many well-known soloists and chamber musicians. The festival will be held in San Francisco, California, USA; Birklehof, Germany; and Sulzbach-Rosenberg, Germany. Each will offer four one-hour private lessons, ample practice facilities, and the opportunity to perform in orchestra and chamber-ensembles coached by faculty members. Master classes will be offered on various instruments and there will be numerous festival concerts, all of which will be open to the public. In addition, there will be planned excursions to a variety of fascinating destinations in each of the three locales. Under the baton of Artistic Director Sung Jin Hong, One World Symphony and its feature artists will perform Sergei Rachmaninoff's Piano Concerto No. 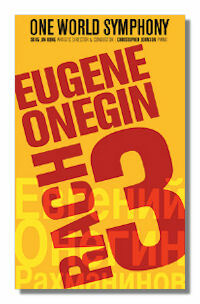 3 and Piotr Ilyitch Tchaikovsky's Eugene Onegin (highlights). All the details are on the attached jpeg press release as well as on our website. One World Symphony's Rachmaninoff Piano Concerto No. 3 will also celebrate the 100th anniversary of its world premiere (1909). Friday, March 13, 2009 at 8:00p.m. Sunday, March 15, 2009 at 4:00 p.m.